Waterscape Garden Design is a proud CERTIFIED AQUASCAPE CONTRACTOR . This insures that you the customer are protected. 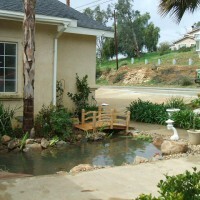 We install custom ponds as well as pond less waterfalls. 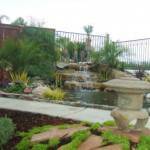 Waterscape Garden Designs is located in the Temecula / Murrieta area and services the San Diego North county as well as Riverside county and the desert communities. We can be reached by calling (951) 966-9866. Waterscape Garden Designs hasn't favorited any yards yet.